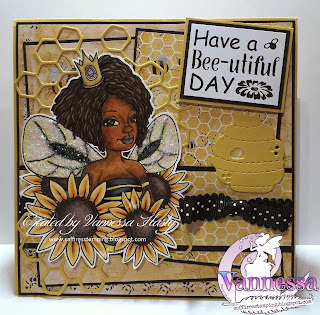 Are you having a BEE-utiful day? Good afternoon, evening or maybe even morning wherever you are. I hope you are all having a BEE-utiful day and the sun is shining. Spring has definitely arrived here in the UK and I can now go out without my big thick winter coat! Yay for sunshine! 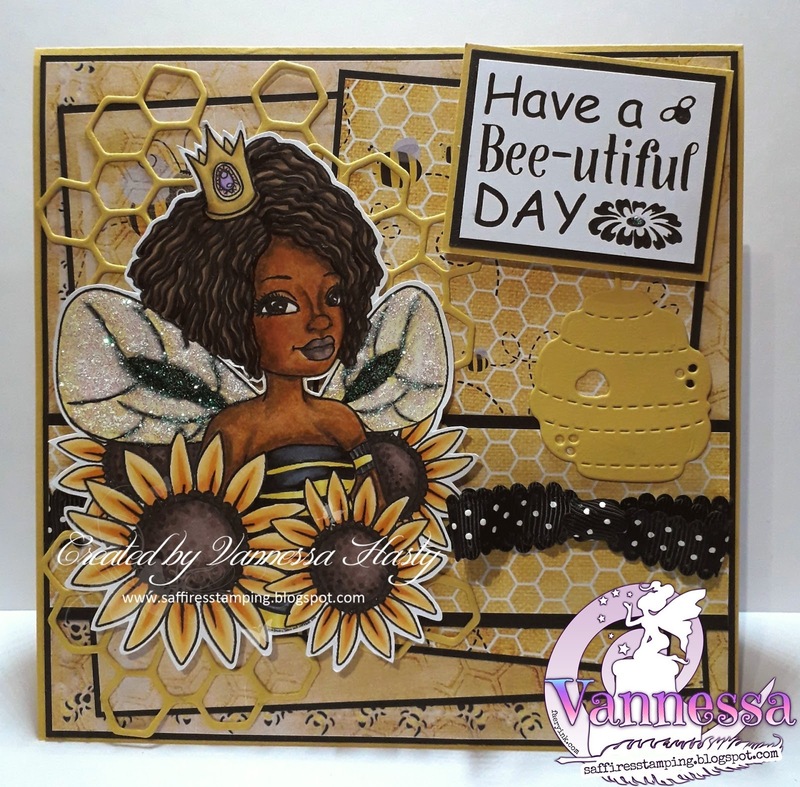 Anyway on to my card...I used the gorgeous Aja Queen Bee for this card and went for a traditional yellow and black colour combo, using some bee themed papers and die cuts as well. 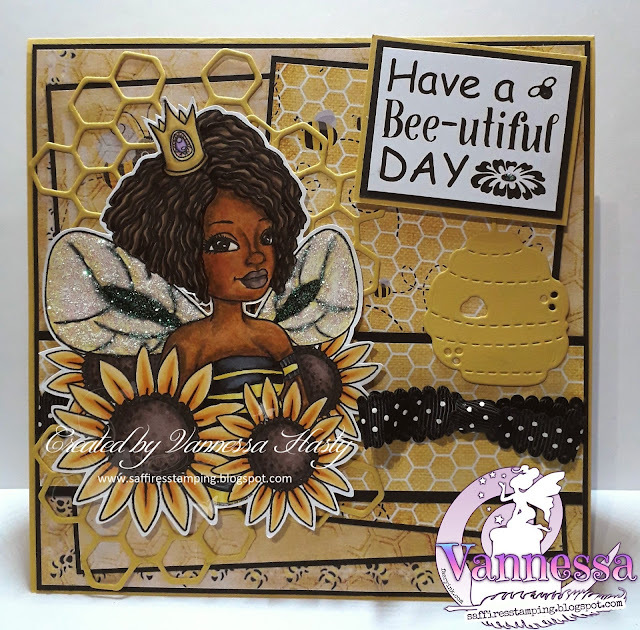 In real life I hate bees; they scare me as I was stung as a kid, but I love making cards with them on and using the colours and honeycombs too. I added lots of glitter to her wings as well, which you can see better in this photo. Don't forget to pop on over to the Faery Ink Facebook Group and check out all the other fabulous inspiration from the rest of the DT and why not share your projects there as well.